- The famous Le Corbusier LC1 Basculant Chair, or LC1 Sling Chair was designed by Le Corbusier in 1929. 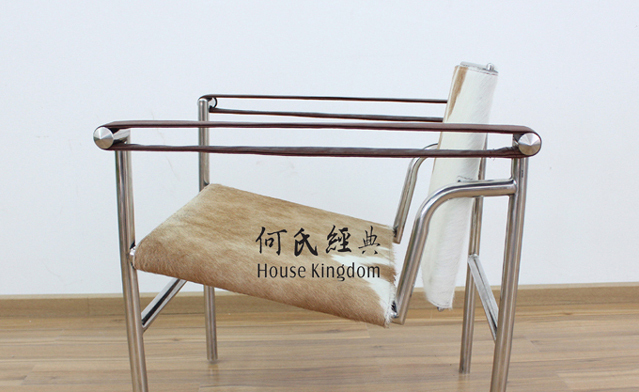 - The Le Corbusier LC1 Basculant Chair - Cowhide is based on the 18th Century wooden version which was originally foldable and used on picnics in the Colonial days. 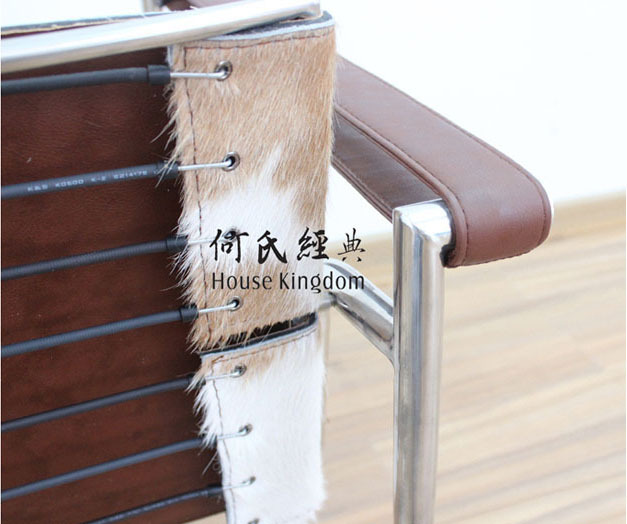 The Le Corbusier LC1 Basculant Chair - Cowhide is amazingly comfortable as it provides support exactly where it is needed. 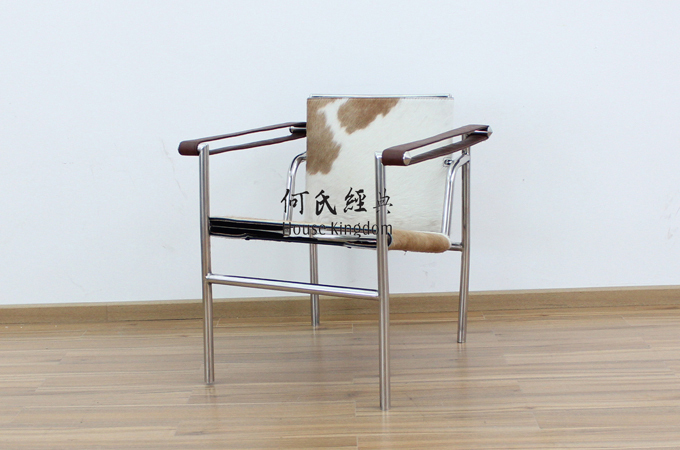 - The Le Corbusier LC1 Basculant Chair - Cowhide is a high quality reproduction in the style of the original design. - Mirror polished tubular stainless steel frame with moveable back. 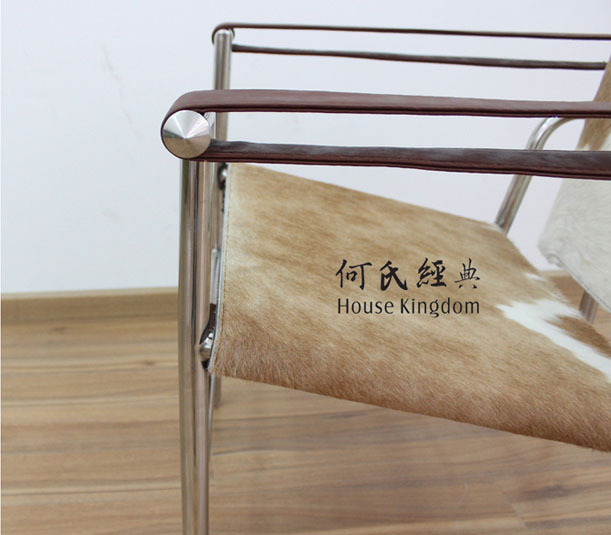 - Seat and back in cowhide, the back pivots as you lean forward or back. - Arms in a continuous band of saddle hard leather. - Rubber floor stoppers for support. - The back of the chair features an adjustable steel rod which allows the chair to tilt whenever its occupant changes their sitting position. This sleek design provides amazing comfort and will make a wonderful statement piece for your home or office. - Our prices are the competitive in the industry and our quality is one of the best. We use an independent quality control auditor to supervise the entire production process; ensuring every product is of the highest quality and has absolutely no imperfections.